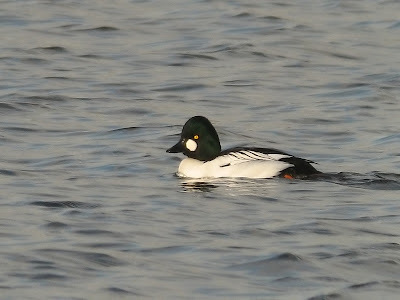 Selection of wildfowl from The Lake at Deeping Lakes including the Pochard/Tufted hybrid. There were two Glaucous and one Iceland Gull at Dogsthorpe Tip at the weekend; all first-winters. 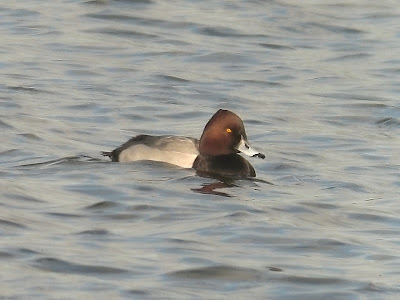 The birds are visible from the road when resting next to the tip so I was able to stop for a brief look today. Just the one Glaucous in view - a smaller and less fierce looking creature than the one I photographed 3 weeks ago. Probably a female. Found by Dave Bradley on 20th. 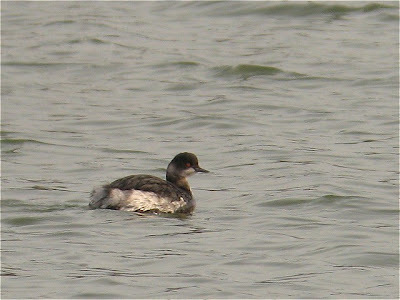 This is favouring exactly the same part of the lake, just past the mound, as previous birds that have turned up here. Found 4 of these loafing in a field near the decoy wood on Newborough Fen. I thought the white shapes were plastic bags when I first saw them. They were a fair distance from my position on Willow Drove so the photos aren't great but here's one for the record anyway. 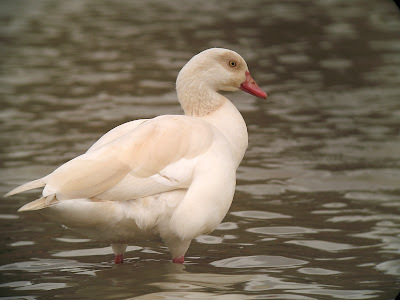 Will found this bird hanging out with the Canada Geese near the Town Bridge last Friday and was still there today. 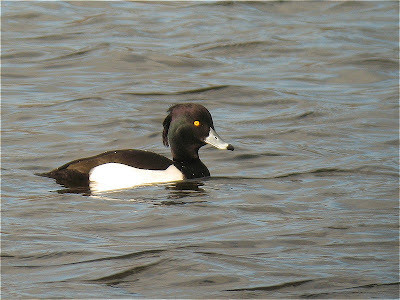 The company it's keeping and the fact that it is fairly tame don't really it do it many favours but I guess it could be a wild bird from the Rutland population. More nightime digiscoping! 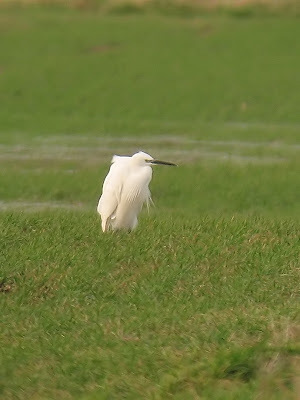 It was about 16:20 and the bird was over 500m away. 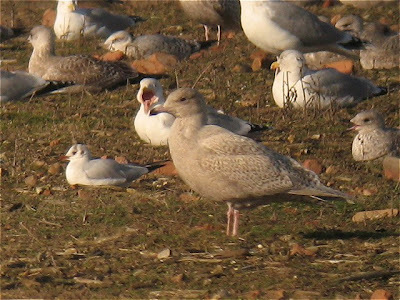 Will found a first-winter Glaucous Gull at Tanholt GP earlier in the day and with an Iceland Gull reported from Dogsthorpe Tip the day before I thought it was worth giving the roost a try at CEGB. 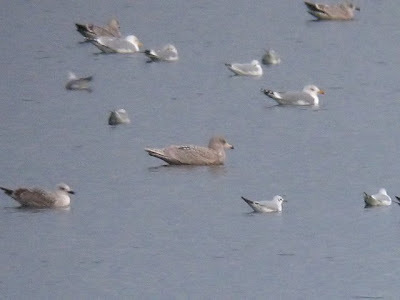 There was no sign of an Iceland but the Glaucous was one of the last birds to arrive and there were also at least an adult and a first-winter Yellow-legged Gulls. Another first-winter Glaucous roosted at Grafham Water this evening but the Tanholt bird is more likly to have roosted here. 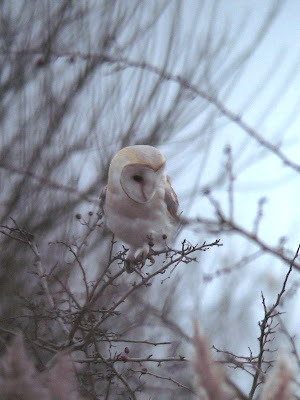 Surprisingly this is the first Barn Owl to be reported from this site. Had to use ISO400 and underexpose to get this digiscoped shot in the early morning gloom.